The radical Italian party sees a referendum on euro membership as a last resort, one of its top lawmakers says. The apparent U-turn could help soothe markets and business before upcoming elections. There’s room to backtrack, but 5-Star is holding up and getting more nuanced. Reuters: Italy's 5-Star says euro referendum is "last resort"
Luigi Di Maio, a senior lawmaker from Italy’s anti-establishment 5-Star Movement widely tipped to be the party’s prime ministerial candidate, said on Sept. 3 that a referendum on Italy’s membership of the euro would be held only as a last resort if Rome does not win any fiscal concessions from the European Union. 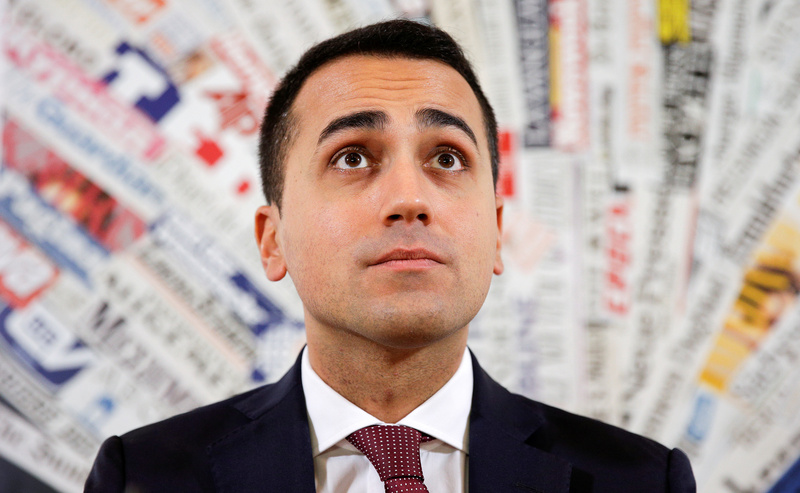 Di Maio was speaking to an audience of business people, bankers and policymakers at an annual forum in Cernobbio, by Lake Como. The southern Italian region of Sicily is due to hold elections in November. National polls are expected to be held in spring 2018.